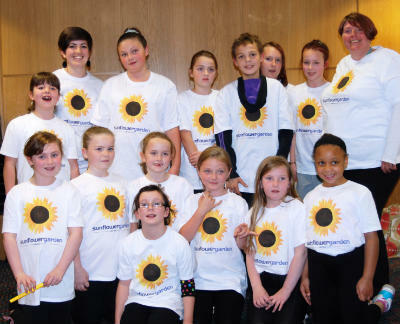 Sunflower Garden recognises the diverse needs of children and young people affected by parental drug or alcohol use and so strives to offer an equally varied and flexible approach to support. With a multi-disciplinary team we are able to support children wherever they are in a way which is easily accessible and 'right' for them. Children and young people can access support through our counselling service based in Simpson House, Queen Street. Counselling is open ended and offered on a weekly basis through our team of committed counselling volunteers. To refer in to this service please either call us, or download a referral form from this page. At present we are specifically running groups for children affected by alcohol use in their families. We are currently taking referrals for the next group which is for young people S1-S3 and will run in the autumn term 2017. However, please contact us if you would like to make a referral for a young person out of this age-range and we would be happy to discuss this with you. If you require further information on any of these services please feel free to contact us. Sunflower Garden is a GIRFEC (Getting It Right For Every Child) service. GIRFEC explained.